If you love Snapchat, then the chances are that you are always looking for new tips and tricks to get the most out of your experience. 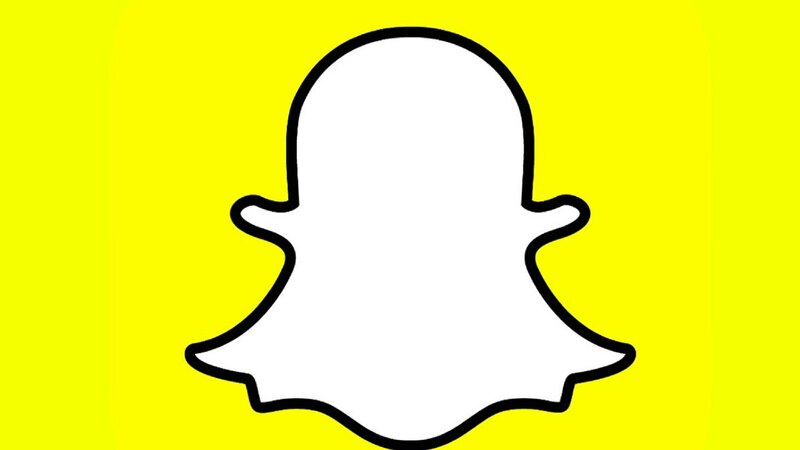 Today I want to take a look at 6 Snapchat tricks that many Snapchat users don’t know about! A few of these tricks use newer features and at least one of them (Geostickers) isn’t yet available to everyone just yet, but hopefully it will be in the near future. Scan with SnapChat to connect with me, I share SnapChat tricks and tips there too! – Swipe your photo to add your first filter and hold your finger down. – Now swipe using another finger while still holding down with the first finger, this will add your second filter. 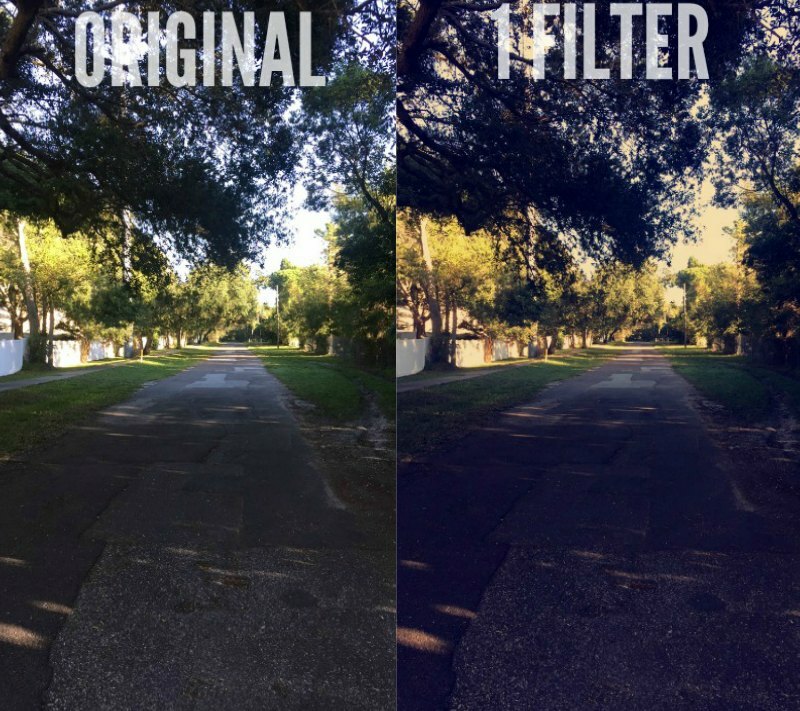 Original and one filter example. 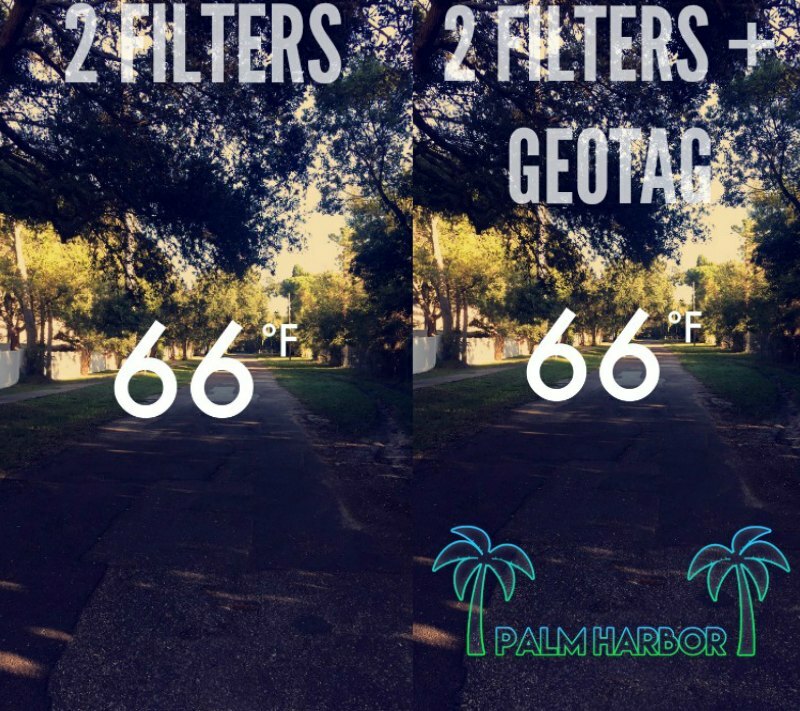 Added current temperature filter and local GeoTag for Palm Harbor, Florida. Using ‘travel mode’ with Snapchat will save your data! ‘Travel mode’ is a built-in feature on Snapchat that is designed to stop the automatic download of stories and snaps so that you can save data! Not sure how to turn on ‘travel mode’? Just go into the settings menu of Snapchat, select ‘Additional Services’ and choose the ‘Manage’ option. From there you can turn ‘Travel Mode’ on or off! Tip: Turning on Travel Mode is also a great way to store your snaps and upload them at a later time. Great when you want to share that you’re away from home, without actually advertising to the world that you’re away from home at that specific time. Having trouble getting a good Snapchat because of low light levels? You can get a better picture using night camera mode! Now, technically the night camera mode is automatic and will turn itself on when needed. Once in a while, however, you will have a mid-range light level and the night camera mode won’t kick on by itself. You can force the night camera mode to turn on, though. All you need to do is put your finger (or anything else, really) over the camera to block the light from the camera. This will force the night camera mode on. You can tell if your night camera mode is on by looking for the moon icon on the screen. 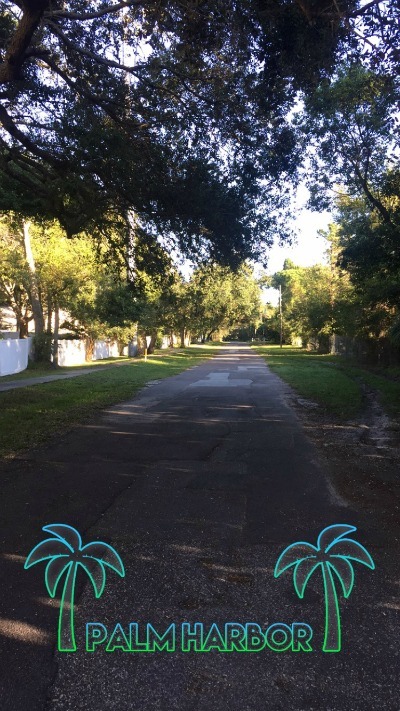 Did you know that you can add music to your Snapchat videos? Okay, to be honest, this is more of a tip than a trick. But if you want to play your favorite tunes in the background of your Snapchat video, just open up your music player and start playing your song. Then, record your Snapchat video and your song will automatically be added to your video. Tip: Select a music track that matches the content you’re sharing. I use Apple Music which gives me access to a massive searchable music library and it saves me a tremendous amount of time. 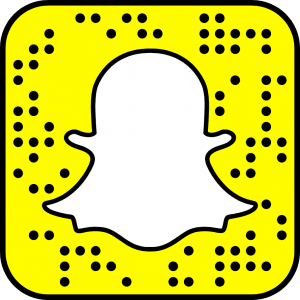 Geostickers is a relatively new feature on Snapchat, having just rolled out at the beginning of August this year. So, if you’re still not sure how to use it, don’t panic too much. To get Geostickers to work, you first need to enable your location services for Snapchat. Once you have done that, make sure that filters are enabled for your Snapchat as well. Lastly, you also have to make sure that your Snapchat is upgraded to the latest version since the older versions of the app don’t offer the Geosticker function. So, now that your Snapchat is set up to use Geostickers, you want to open up the app, select the sticker icon, take a Snap, then swipe over the location section. This will give you access to the Geostickers, but ONLY if they are available in your area. It’s important to know that as a new feature, Geostickers are only available for a select few major cities at this time. If your location is available, Geostickers will show up at the bottom row of the location section, just swipe right! Looking to add a little something different to your Snapchat video? Try using a voice change filter! Okay, so this function actually only lets you sound like a bee, but it’s still a pretty cool function. To use it, open up Snapchat, then set your camera so that it is facing frontwards. Use your finger to press and hold the image of your face so that the camera locks in and then wait for the newest filters and lenses to pull up on the screen. Now, swipe through the available lenses until you get to the Bee lens. Choose this filter and take your video snap and then when you playback your video, you will sound like a bee with a high pitched voice! The only problem with using this filter to make your voice sound different is that you will also end up looking like a bee at the same time! Still, it’s a cool little feature that you can have fun with as long as you’re not looking for anything too serious! Tip: Once you have a lens selected you can switch to your front facing camera and record, as usual, your voice will sound like a bee as you narrate your video. Huge thanks to everyone that follows me on SnapChat and checks out my SnapChat tricks. I’ve already started working on a second part to this article, I should have it out next week. If you have any SnapChat tricks that you would like to share take a moment to leave a comment below. I might include it and credit you in my next SnapChat tricks and tips piece. Time to get snappin’! What happened…really the server? 🙂 miss the memories boss. Good times my man! I hope you’re doing well. I like the SnapChat Tricks you shared here John, I’m looking forward to your article next week. Thanks for sharing. Great article John. This was very helpful. Thank you Don, I’m happy you found my SnapChat tips helpful.